AKG Thermal Systems specializes in advanced technology heat transfer equipment. The AKG family of companies is a world manufacturer of quality heat products with manufacturing plants in six countries. 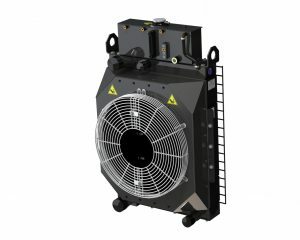 AKG CooL-Line is a standard line of products from the market leader in high performance industrial aluminum cooling systems. The CooL-Line type series consist of different models for mobile and stationary applications and are available through our global specialist dealer network. 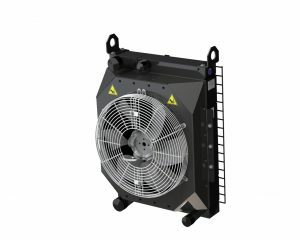 This line of products embraces all-purpose complete cooling systems that comply with European or American Standards, is suited for normal or rugged environmental operating conditions, is powered by AC-, DC- or hydraulic motor- driven fans and is also available with noise optimized models. AKG’s Engine Line are standard cooling packages for Tier 4 and Tier 3 Engines. Engine Line is a pre-engineered, high performance, and an option for heavy duty hydraulic cooling. Combination coolers of this variety can bring multiple cooling functions into one complete system. These can also be built to meet your needs to suit engine placement and space constraints. With current emissions standards, these packages can provide a compact and effective way to meet that criteria. This cost-effective solution can be quoted within 2 days and ships within two weeks. To find out how Scott Industrial can get you great pricing on AKG’s products and systems, please e-mail us at [email protected] or call 937-233-8146. More information on our services can be viewed at www.scottindustrialsystems.com. This entry was posted in Fluid Power, Hydraulics, Industry News and tagged AKG Engine Line, AKG Thermal, Hydraulic Cooling, Industrial Aluminum Cooling. Bookmark the permalink.